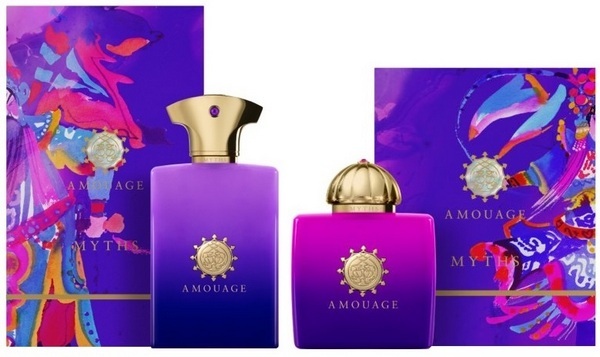 Amouage‘s new Myths for Women was not what I had expected. There was the welcome, happy surprise of carnation as its driving focus, instead of the litany of white florals that have dominated so many of the brand’s recent releases. Red but drenched with greenness, hot but chilly, the carnation was a beautiful note that took me even further off guard with the way its companions — my ultimate green nemeses, violet leaf and galbanum — somehow recreated a passing impression of one of my favourites, hyacinth, from its liquid floralcy to the venomous bitterness of its sap. It’s a brief and wholly impressionistic touch, but I was delighted. Equally unexpected, but far less welcome, was Myths’ persistent dryness and diffuse sheerness, two things which I think characterize the Opus Collection’s aesthetic as opposed to the regular line whose women’s fragrances exemplified oriental opulence and full-bodied richness, or at least they did, once upon a time. As a whole, both Myths, the Women’s and the Men’s (which I’ll cover in the next review) feel like the continuation of Christopher Chong’s style of perfumery, moving Amouage away from its Franco-Arabian and vintage-style roots into something purely Western and modern. How you feel about that will depend on your tastes and expectations.